How do I match expenses in QuickBooks? 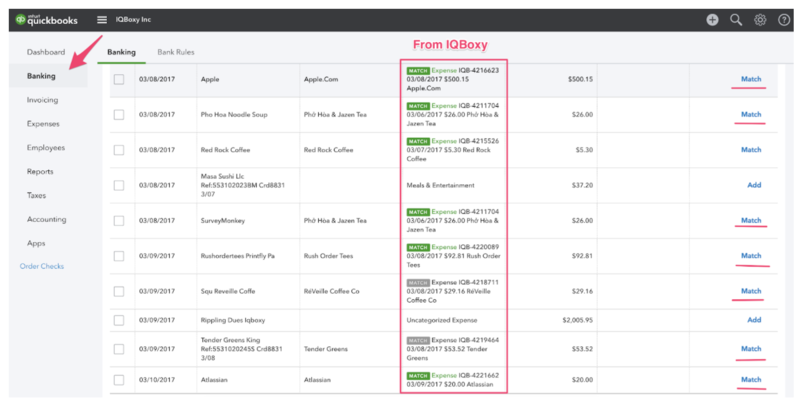 Veryfi integrates with QuickBooks (ref: https://www.veryfi.com/connected-apps/quickbooks-online-qbo/) so both platforms can be used together. Veryfi then creates an Expense in the Expenses tab. Under Banking you should be able to match those transactions with receipts uploaded to Veryfi.